This book tells the story of Frederick and Olive Elsegood and their eight children. It is a reflection on their lives, a record of known events and recollections from different generations on Kangaroo Island from 1910 to 2010. 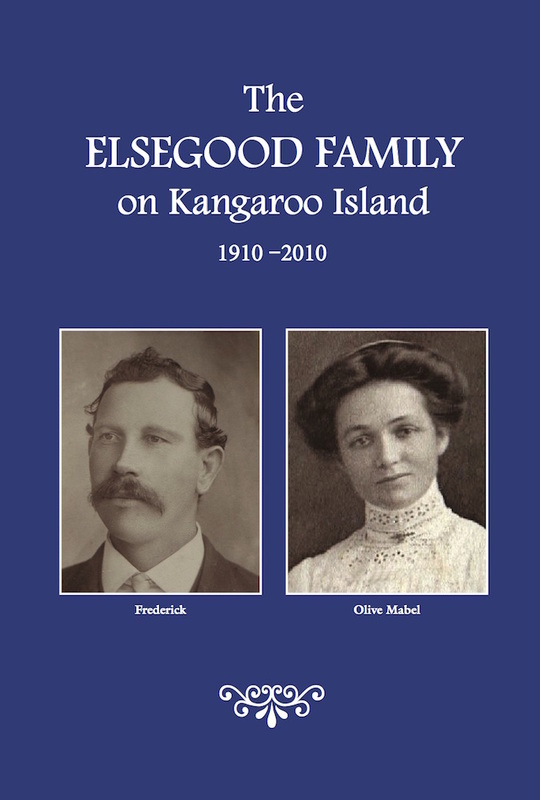 The book was compiled and published to coincide with the Elsegood Family Reunion on Kangaroo Island in October 2010. While there is no assertion this is a fully comprehensive history, every effort has been made to ensure the accuracy of the information that has been included. This history has been documented so that all descendants of Fred and Olive may know some detail, have a better understanding, appreciate and be proud of their ancestral heritage. May the rich and varied entries and photographs within these pages be enjoyed by all and valued as an informative, historical synopsis of the extended Elsegood Family from 1910 to 2010. If those objectives have been met, then this publication will have been an immensely successful undertaking.